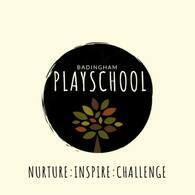 Below are some activities we use at Playschool to promote your child's learning and development. 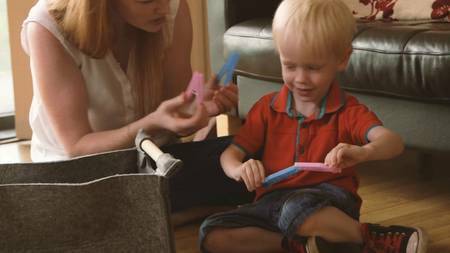 Some can be easily adapted for you to do at home with your child. You are your child's first teacher and it will be you that teaches them things for the longest period of time in their lives. Make it fun! Please share your learning/fun times with us on Tapestry. ​This activity enables children to recognise and order numerals. It also helps with fine motor skill development. Fine motor skills are important for learning to write. 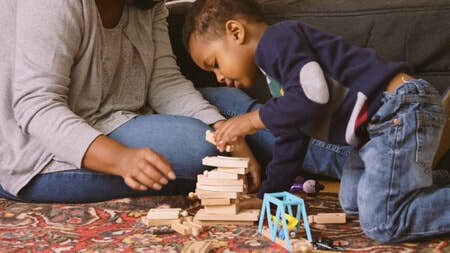 ​These activities promote fine motor skills and sorting, as well as colour recognition. Children can develop their fine motor skills during this activity, along with counting. Understanding the world with this beautiful Autumn exploration tray. This activity promotes number and colour recognition, as well as matching quantities to numerals. Children can choose which animals to count too. It also develops fine motor skills. Please let us know how you get on with our weekly easy peasy game! Completing tasks like tower building take lots of concentration and patience - otherwise it'll fall! Working together to achieve a goal can promote empathy, creativity, motivation and confidence. Surrounding your little one with stories of any kind will encourage understanding of spoken sounds which prompts writing later on! Scribbling freely is proven to help children develop creative thinking and problem solving. Body awareness provides children with a perception of the dimensions of their bodies -- so they can co-ordinate their body parts safely and smoothly! Kids can feel restless in the evenings. By gently massaging their backs you can help them feel soothed and relaxed, ready for a good night's sleep. Bubbles are a fantastic tool for engaging your child's attention, getting them moving and letting them explore their senses! Activities of matching, sorting and classifying help children process their environment and make sense of the world. Testing out other senses like touch and smell can help our children think more about everyday objects around them. Using tummy muscles helps develop core strength which keeps children strong, balanced and fighting fit! Trying hard even when it's difficult builds resilience in your child. ​You will build confidence in your child by praising their imagination and sharing laughter together. Planning a meal takes thinking ahead and creativity - two super important skills for your child's future. 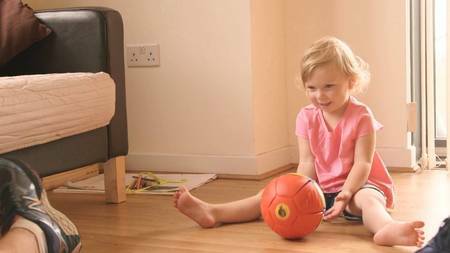 ​The ability to listen to instructions helps children to complete complex tasks. Matching activities helps child think in a more organised way - a vital skill for school and work. Learning to resist temptation is hard, but research shows it's one of the most important predictors of success! Matching noises with body parts is a great way to get your child practising those vocal chords. Many teachers describe 'empathy' as even more important in the classroom than reading, writing, and arithmetic.